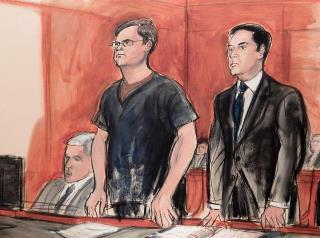 (Newser) – A Wall Street analyst in the Bronx who spent much of his time attending mundane meetings, filing reports, and networking (including on LinkedIn) turned out to be a Russian spy—just part and parcel of the undercover espionage operations that burrow into place in New York City, as reported in a fascinating read on Bloomberg. The article tells the tale of Evgeny Buryakov, a banker who infiltrated corporate and governmental circles to try to cull secrets, but it's also the story of how these operatives pull off their long con. And long it is: Russian intelligence spies exhibit "extreme patience" by befriending junior-level workers, exchanging and drawing out meaningless info, and then nurturing those relationships for years, until one day that junior person reaches senior ranks and willingly offers up valuable info to their "old friends." "This isn't about just stealing classified information. This is about stealing you," Maria Ricci, a longtime FBI agent, tells Bloomberg. Now all they'll have to do is go to the White House and Trumpie will tell them everything they want to know. Really creeps me out, and makes me wonder if any of my friends or boyfriends were spies. A lot of my social life came from Wall Street.